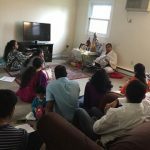 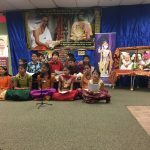 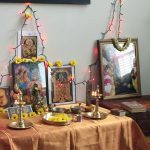 With tremendous support from Boston friends, friends of friends, well-wishers and relatives Nama Bhiksha was done throughout the tamil month of ‘Aaadi’ from July 17th to Aug 16th 2017 across residences in various parts of the Boston area by the Boston GOD Satsang. 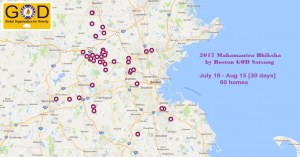 Cities like Acton, Concord, Braintree, Weymouth, Boxborough, Sharon, Westborough, Southborough, Marlborough, Shrewsbury, Hopkinton, Ashland, Sudbury, Lexington, Bedford, Newton, Reading, Harvard, Dunstable, Westford, in MA and Nashua NH were covered. 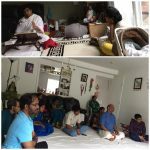 More than 60 families came forward to offer the Bhiksha of Mahamantra during the 30 day period. 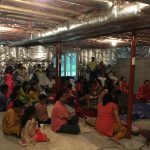 At least 300 devotees joined in Mahamantra Bhiksha at one time or the other and partook of the sweetest of the prasadams – Nama Prasadam. 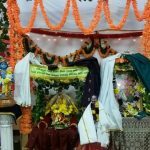 It is planned to perform the Nama Bhiksha every year during this time.